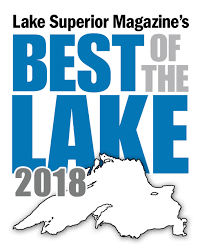 Copper Harbor has great restaurants featuring local favorites and specialties, as well as fun places to get a treat or a fresh cup of coffee. Dining options range from family fare to fine dining. There are several nice places to have a picnic too. 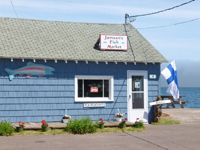 Lake Superior whitefish and trout, pasties and thimblerries are favorites and a must eat when visiting. favorite- Jilbert’s Premium Ice Cream, a rich and creamy treat you can enjoy on a cone or in a cup. For those who have food sensitives that are searching for something light & refreshing? Try an Italian Ice, these are made daily and are fat free, cholesterol free, lactose free & taste great! Open July through Labor Day. Copper Harbor’s first and only microbrewery, and the first in Keweenaw county in over a hundred years. Bringing hand crafted beer to you is our goal while infusing it with the fun and beauty of the surrounding area. We have our beer on tap, growlers to go, and bottle sales from the cooler. You can also buy it in stores through out the area. The shop is located in the center of the motel, featuring local photography and coffee related gift items. You will also find organic, FTC, fresh brewed coffee, drinks, fresh baked goods and more. Ice cream, snacks and homemade fudge. 3 unique gift shops on the property. 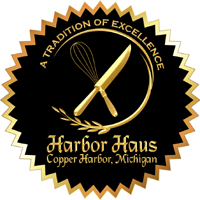 The Harbor Haus is a long established fine dining restaurant (Est. 1974) featuring the freshest available Lake Superior fish. The Haus has a culinary team that creates amazing “New American Cuisine” and traditional Bavarian specialties from days long ago. Always expect a long line at the door during the summer Season, but the wait is worth it. Call ahead for reservations, a private dining is available for groups of 10-18 people. The Harbor Haus will be opening a new 20 room Luxury Hotel in early 2018 with private patios and specular view of Copper Harbor light house. A fish market featuring local Lake Superior fish, fresh and smoked. Fresh coffee and bakery offered daily. T-shirts, local jams, homemade candles, and assorted gifts. Open daily form 7am to 3pm during the summer season. Restaurant featuring casual dining in lounge/bar offering full dining room menu featuring pastas, steaks and ribs as well as soups, sandwiches, burgers, salads and pizza. We are right across from the Community Park and Visitor Center. Our restaurant features home-style cooking and Zik’s bar offers a place to relax and socialize. Restaurant opens at 7:30 / 6:30 a.m in the summer season.